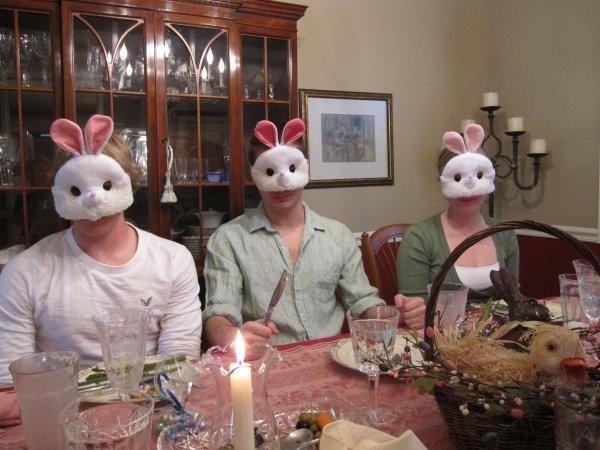 The Relatives Are Coming… for Easter! 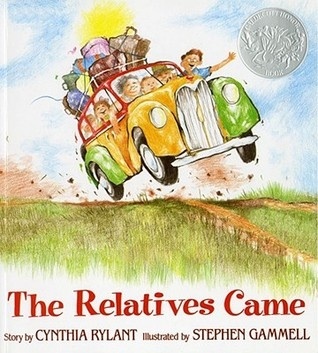 One of my and my ESL students’ favorite books was The Relatives Came! This was definitely a book we enjoyed reading and talking about together. Almost all my students were born in the US into immigrant families; nonetheless, they all had relatives who came to visit, sometimes from very far away. It was not unusual for me to hear comments like: “My grandmother is coming from El Salvador to spend the summer with us.” Or, “My grandparents are coming from China to live with us.” And, of course, there were always the nearby relatives, the cousins, who came to visit more often. The children always seemed happy when they told me about their relatives coming to visit. Perhaps it was because they hadn’t seen each other, in some cases, for several years; or because it was just something special to look forward to in their lives which could often be quite dull. I am sure their happiness reflected that of their parents who were probably also excited at seeing loved ones after a long separation. When I was younger there was much more back and forth visiting of nearby relatives. There were, of course, relatives who were still living far away in Germany and Hungary, but we never got to meet them and never would for many reasons. But the relatives who lived nearby tended to stay close and visit often as immigrant extended families often do. So when my students talked about their cousins coming to visit, I always smiled because I remember my own romps with my cousins. Usually well behaved, we became feral children in the presence of cousins. I think it’s because the grownups released the reins and were having such a good time being with each other they forgot about us! Now I have my own small family and in a few hours my son and his significant other will be brought to visit for the weekend by my husband who will pick them up after work in Brooklyn. They will have a quick dinner in Brooklyn, then brave the traffic on the LI Expressway (LIE) along with so many others doing the same. It’s not as arduous a trip as from China or El Salvador, but when there’s traffic in NY it can feel almost as draining. I have spent the week doing things here and there to begin to prepare for their visit. Today I amped up the efforts to get ready. I swept and mopped the kitchen and bathroom floors; folded the laundry; got sheets and towels ready for the guests; did some errands and went grocery shopping. My plans almost fell through when I saw the size of the legs of lamb on sale at the supermarket. They were huge and expensive. I was stumped since I had planned on lamb for Easter Dinner. I mentioned to the butcher that all the legs of lamb were too big for me and he quickly offered to cut one in half. Saved! I came home with strawberries, asparagus, string beans, carrots and other spring delights. Human beings are very social creatures for the most part. We enjoy being with family members and sharing occasions, but I no longer go overboard: a lovely brunch with Easter eggs and mimosas will do the trick. 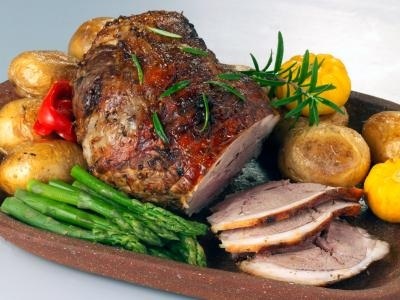 Dinner will be a roast leg of lamb with potatoes, carrots and stringbeans. 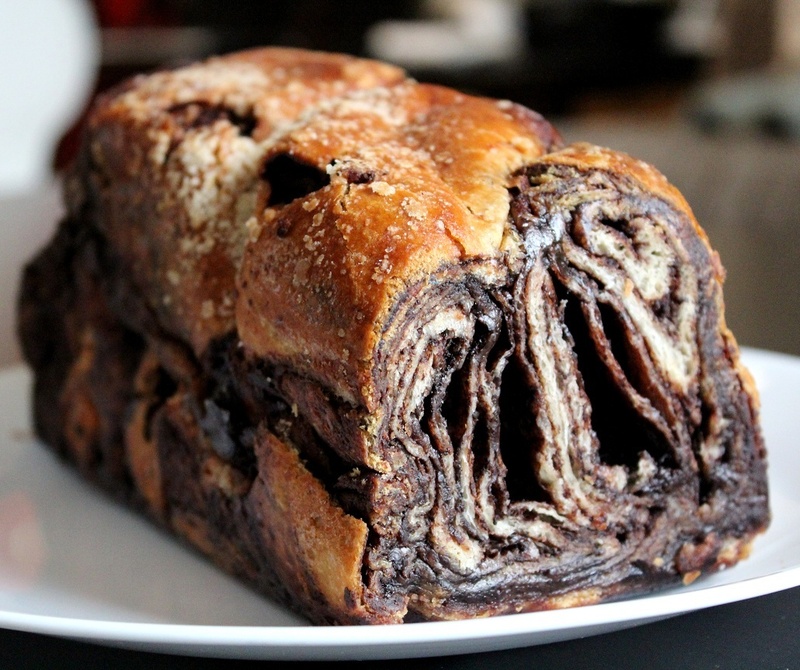 And our special treat will be a chocolate babka from our local bakery. 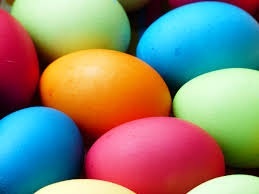 Of course, there will be Easter baskets which my grown kids still look forward to, egg dying and, weather permitting, an Easter egg hunt for my 30+ almost-daughter-in-law who is an only child and never got to have one with siblings. So…the relatives are coming, and yes, we are all excited. Hope your weekend holds some special moments for you as well. 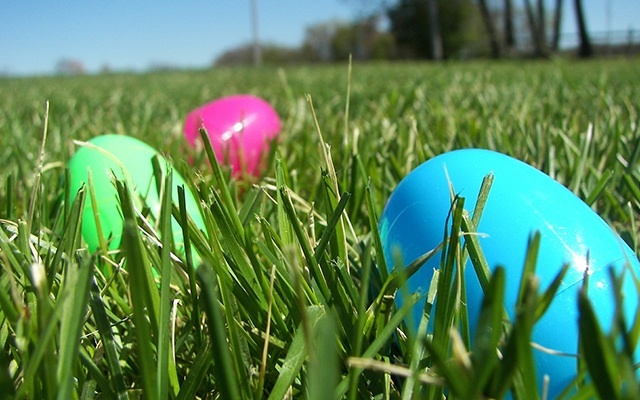 Posted on March 26, 2016 March 26, 2016 Categories UncategorizedTags Easter celebration, family visits, holiday traffic, immigrant families, leg of lamb, the LIE, The Relatives Came24 Comments on The Relatives Are Coming… for Easter!